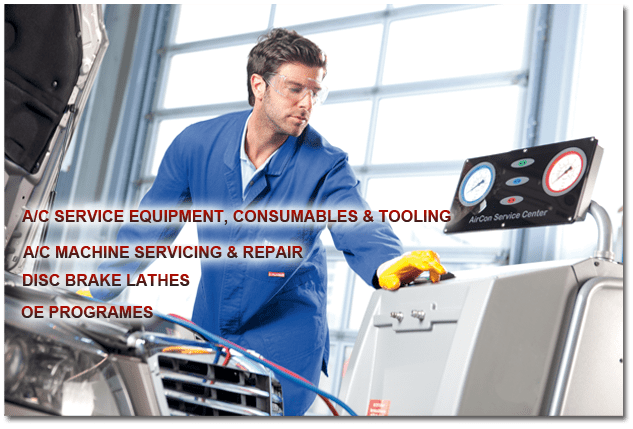 Vehvac specialise in supplying the very best air conditioning service machines and disc brake lathes. Vehvac are the UK Distributor for Waeco air conditioning equipment, covering the whole of the UK and Northern Ireland. Designed and made in Germany, Waeco equipment is recommended or approved by many leading vehicle manufacturers such as Audi, BMW, DAF, Ford, Kia, Mercedes, Skoda, Volvo and VW. Excellent range of portable charging & recovery stations for mobile use. Leak detection, refrigerant analysis equipment and hand tools for the A/C Professional. Everyday consumables such as Refrigerant, Oils, and Leak detection dye supplied at competitive prices. CANVIK Brake Lathes are a problem solver and profit generator rolled into one. Reprofiles the Disc on the vehicle, quickly and efficiently. Removes surface rust and cures braking problems such as poor performance and vibration in one go. Click on the menu below to find out more about each product.